Johnriel Casimero is scheduled to defend his title against the unbeaten Brit prospect Charlie Edwards. 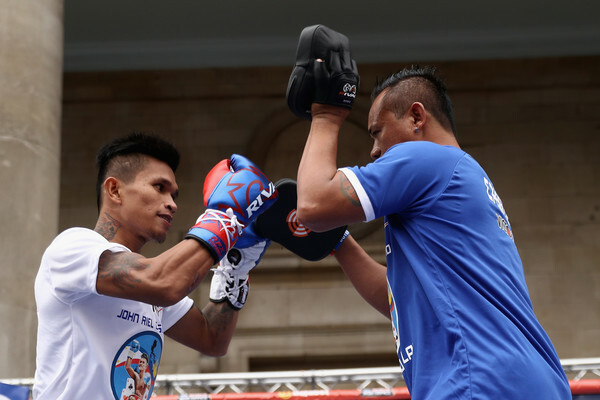 Casimero 22W(14KO)-3L is the current IBF world flyweight champion, a tested boxer, said that Armando Santos and Amnat Ruenroeng is still better than the Brit Challenger. He expected that Edwards will run to the floor and will use the ring to win the fight. Meanwhile, the Brit challenger is very confident that he can beat the Filipino champion. Edwards said that it will be just another day. He knows that Casimero has a power in both hands but he said that Casimero is too slow for him to win the fight. Casimero vs Edwards will be held at the O2 Arena (Millenium Dome), Greenwich, London on September 10, 2016.